The Burmese government is trying to condone the ongoing violence in Arakan state by today, arresting about 20 student leaders who want to mark the 50th anniversary of the destruction of the Student Union building on 7 July 1962, by former dictator Ne Win. In Arakan/Rakhine state, some Rakhine monks turned up themselves in the media and accusing for less receiving aid. In deed, there were no displaced Rakhines at all in the other towns except from Rakhines who were from the model villages of Maungdaw township that relocated on the Rohingya people' lands under model village settlement program of the government in the late 1991. Those displaced Rakhines in Maungdaw are less than 10,000 people and they already received enough foods and goods from the government including those looted from Rohingya and from the beginning they are separately placed in 4 miles area. 17:30pm of today: A victim of survivor confirmed that 3 out of 4 boats load of homeless hunger Rohingya people involving women and kids who were heading for Gualadil beach (Darbaine village area) from Sandama side (opposite of Sittwe call Sandawshin), were sank in the dumping waves of Sittwe sea at around 4pm local time. Each boat carried average 70 to 85 people and all of them were groups of people who escaped by boats to Sandama side from Paiketay Yat (Zaila Fara), Mizan and Shwe Bya villages near Sittwe Jetty. 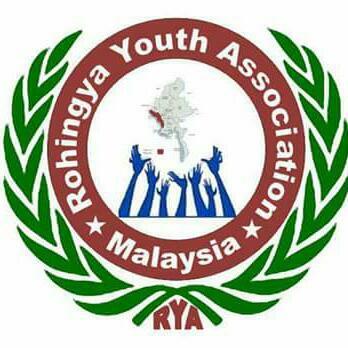 Rohingya houses in Paiketay Yat (Zaila Fara) are still rounded-up by Rakhines from yesterday afternoon and asking to leave all Rohingyans living near by the town, immediately.